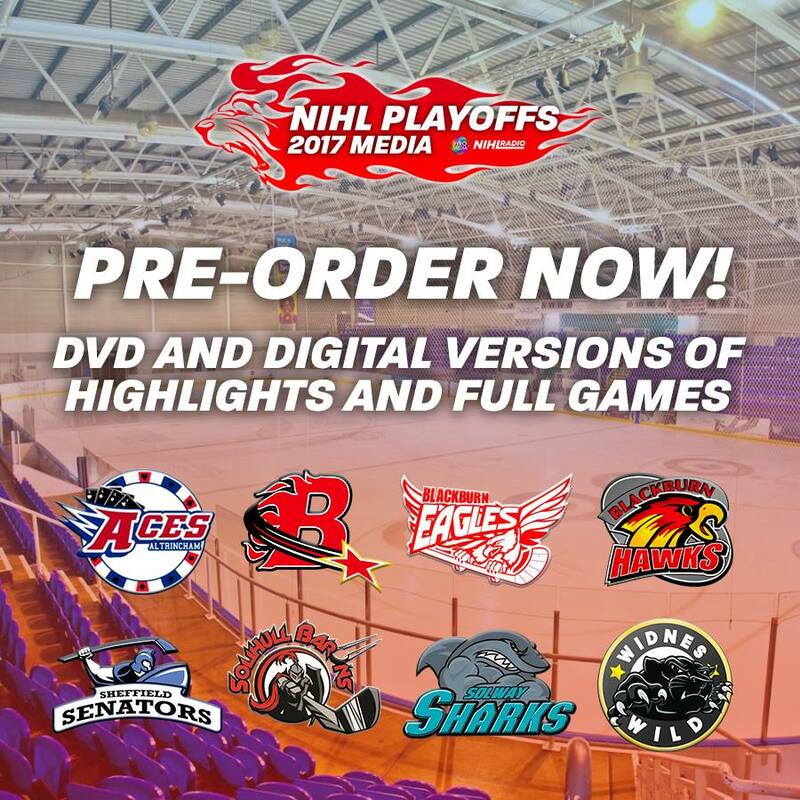 You can now pre-order your very own DVD or digital highlights of this year’s NIHL North Playoffs being held at iceSheffield on the 8th & 9th April. 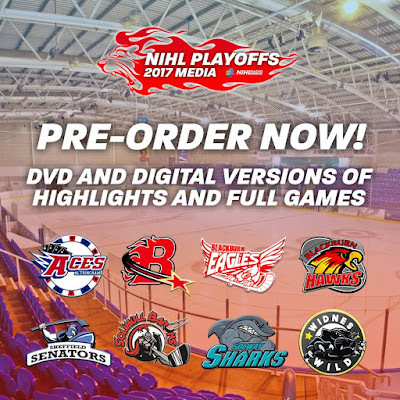 This year you can also buy a copy of any full game on DVD or via digital version. All of these include match commentary, previews, analysis and interviews as well as replays, slow motion and goal cameras! Better still, you will be supporting British hockey with your order as the teams will receive part of every purchase!